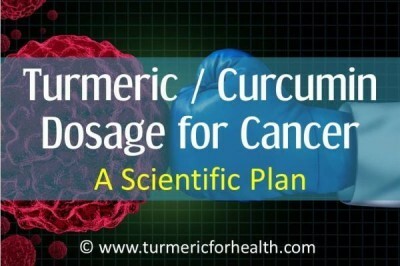 Curcumin is one natural active ingredient that has taken the world of healthcare by storm. What is so unique about it is that single agent is capable of bringing about diverse health benefits. 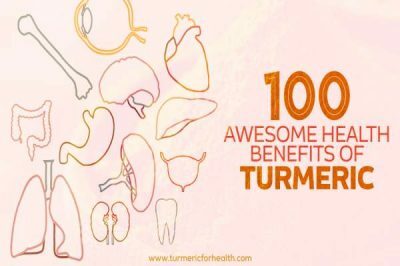 If you have read 100 Awesome Health Benefits of Turmeric, then you will have plenty of reasons to include turmeric and curcumin in your life. Speaking about curcumin, there are as many as 8 Popular Curcumin Supplement Types. This post is about one particular curcumin supplement formulation- Longvida and we are going to learn what Longvida is, what is Longvida good for, how and how much Longvida should you take and so on. 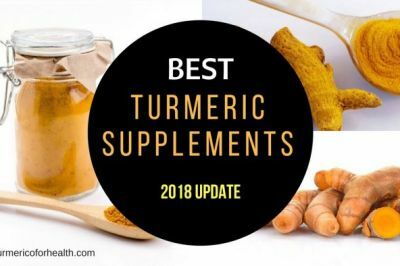 What are the best Curcumin Supplement brands of Longvida Today? Here are our recommendations on good brands of Longvida supplements. Now Foods established in 1968, is a leading company in the natural product industry. 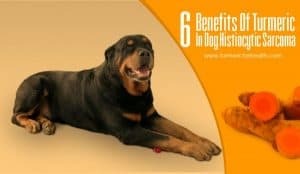 They manufacture supplements, beauty and healthcare products, essential oils, natural products as well as in pet health care products. 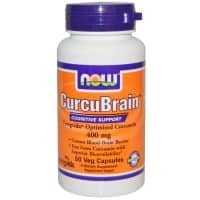 Now CurcuBrain provides 400mg Longvida in vegetable capsules. Disclaimer: Supplements contains cellulose, rice flour, stearic acid, magnesium stearate, silica and soy. Avoid in case of allergies. * Image source – supplement producer. Above image is copyright of the producer. Nutrivene is a brand of International Nutrition, Inc. They specialize in manufacturing of health and nutritional supplements for individuals with special health care needs. Nutrivene Curcumin provides 500mg Longvida in each capsule. Disclaimer: Supplement contains soy lecithin, stearic acid, dextrin, ascorbyl palmitate and silicon dioxide. Avoid in case of allergies. Various research studies have examined the effect of Longvida in various health conditions. The study by Gota et.al examining the bioavailability of Longvida, also tested its efficacy in osteosarcoma patients. Though no clinical results have been reported Longvida has been found to be safe and well tolerated in osteosarcoma patients in a dose range of 2-4g. A study was conducted to assess the chemopreventive action of curcumin in oral submucosal fibrosis, a precancerous condition. 30 individuals suffering from oral submucosal fibrosis were enrolled in the study. 15 individuals were treated with Longvida lozenges while the other 15 were treated with conventional cream used for treatment (clobetasol). The treatment was given for 3 months and follow up lasted for 6 months. The group treated with curcumin showed 5.93 mm increase in mouth opening while the other group showed only 2.66mm increase. 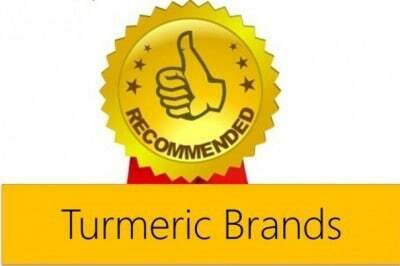 Curcumin group experienced improvement evidenced by the ability to eat normal and spicy food better than other group. Curcumin treatment brought about positive changes that were sustained even during follow up while the control group experienced a relapse. Overall curcumin (Longvida formulation) was found to improve symptoms of oral submucosal fibrosis. Longvida formulation is well tolerated in cancer patients even at high dose. Longvida is found to reduce symptoms of oral submucosal fibrosis. An abstract published in Gerontologist, 2015 demonstrates the efficacy of Longvida in improving endothelial function in middle aged and older adults. 16 individuals were assigned to receive 2000mg Longvida per day (equivalent to 400mg curcumin) while 13 individuals received placebo. The treatment lasted for 12 weeks. Flow-mediated dilation is a measure of vascular health and in simple terms, it measures the ease of blood flow through arteries. Flow-mediated dilation increased by 34% in the curcumin group while no such change was observed in the placebo group. Similarly, Forearm Blood Flow is another parameter measured in relation to vascular health and has implications on blood pressure and other heart and vascular health diseases. Forearm blood flow increased by 44% in curcumin group while no such change was observed in the placebo group. Curcumin improved the bioavailability of nitric oxide, one of the biomolecules that are required for healthy functioning of the blood vessels and optimal control of blood pressure. Longvida supplementation for 12 weeks improves vascular health related parameters in middle aged and older adults. Increasing age does tend to bring in some deficits in cognition and memory. These can be tackled with a good diet, exercise, and healthy mental exercise as well. However the rapid decline in cognition at old age can lead to dementia and neurodegenerative disorders. A study published in Journal of Psychopharmacology, 2015 demonstrated the effects of Longvida supplementation in healthy adults of age 60-85 years. Results demonstrated that 1 hour after administration Longvida improved performance in relation to increased attention and working memory task. General fatigue, fatigue due to psychological stress reduced with Longvida treatment and improvement in mood and working memory was observed. Also, curcumin treatment reduced total and HDL cholesterol. Researchers concluded that curcumin can benefit cognitive health and memory in the older population. In an animal model of Alzheimer’s, treatment with curcumin (Longvida) is found to inhibit the formation of tau aggregates that lead to neurodegeneration in Alzheimer’s. Longvida supplementation improves memory and protects from neurodegnerative disorders in elderly population. Researchers at University of Rhode Island, USA have examined the anti-inflammatory effect of Longvida. Under experimental immune cells called macrophages were exposed to agents that triggered an inflammatory response. Longvida significantly decreased the levels of nitric oxide, interleukin-6 and prostaglandins which serve as pro-inflammatory agents. It also attenuated the levels of nuclear factor-kappa B: a key biomolecule that controls inflammatory process. Also, Longvida showed improved solubility over unformulated curcumin. Delayed onset muscle soreness is inflammation and pain that occurs after a long time periods post workout and is also linked with Exercise-induced muscle damage. 28 individuals were enrolled in the study. They were given either 400mg Longvida per day or placebo, 2 days prior and 4 days after the workout. Curcumin inhibited rise in levels of creatnine kinase, Tumor necrosis factor-alpha and Interleukin-8 each of which are indicative of muscle damage and inflammation. Curcumin reduced inflammation but did not impact quadriceps muscle soreness. It supported faster recovery and improved functional capacity during subsequent exercise sessions. Longvida has proven anti-inflammatory activity that it mediates by virtue of better solubility than unformulated curcumin and by inhibiting action of pro-inflammatory mediators. Longvida is found to attenuate inflammation in delayed onset muscle soreness. Dr. DiSilvestro , one of the major contributors to the development of Longvida, conducted an experiment to assess the effect of low-dose curcumin in healthy middle aged individuals. Healthy individuals of the age range 40-60 years were recruited for the study. 19 were given low dose curcumin (400mg Longvida equal to 80mg curcumin) while 19 were given a placebo. The study lasted for 4 weeks. It lowered levels of plasma triglyceride indicative of better metabolic health. It lowered salivary amylase levels indicative of reduced stress. It increased salivary radical scavenging capacity indicative of improved antioxidant defense. It raised plasma catalase level again indicative of improved antioxidant defense. It lowers plasma beta amyloid concentrations indicative of prevention of Alzheimer’s and risk of neurodegenerative diseases. It lowered plasma sICAM level indicative better blood pressure control. It increased parameters related to better immune defenses. It increased plasma level of nitric oxide indicative of better vascular health. It reduced plasma alanine amino transferase levels indicative of increased liver protection. Researchers concluded that low dose curcumin-lipid formulation can have a number of health benefits in healthy middle-aged individuals. Curcumin from Longvida is efficiently absorbed in the body such that even at low dose it can bring about significant positive health promoting changes in healthy individuals. There is no prescribed dosage of Longvida for any specific health condition. However, for health benefits, studies have utilised a dose of 400mg Longvida per day. Doses as high as 2000mg Longvida have been used for certain health conditions in research studies. It is advisable to consult a health practitioner about the dosage of Longvida curcumin. Also, it is best to start with small doses and increase gradually. Verdure Sciences in collaboration with neuroscientists at UCLA, have developed the special formulation of curcumin called Longvida. Verdure Sciences is involved in supplying botanical extracts which are prepared by focusing agricultural, research and production aspects. Verdure Sciences was started in 1997 as a part of Geni Herbs. The core focus of the company is to provide innovative ingredients to customers that have been prepared with the optimum quality process and do not comprise on care and sustainability. Apart from Longvida, they have a number of branded products such as Pomella (pomegranate extract), WokVel (bioavailable Boswellia extract), Thymocid (Black Cumin Seed Oil) etc. The story of Longvida’s development is elaborately described on the company website. So back in the late 1990s, neuroscientists at the University of California- Los Angeles were screening various natural compounds that could influence the major mechanisms involved in healthy brain aging. During screening, they came across curcumin, an active ingredient of turmeric root. 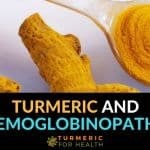 Curcumin had excellent properties to support healthy aging but the issue was with its bioavailability. Without addressing the low bioavailability issue, the benefits of curcumin could not be translated to clinical terms. Since curcumin is fat soluble, they began to experiment with different lipid forms of curcumin and small changes in bioavailability were observed but no clinically significant changes. However, their rigorous research led to the development of breakthrough discovery called Solid Lipid Curcumin Particle Technology. Solid Lipid Curcumin Particle Technology forms the basis of Longvida’s enhanced bioavailability. 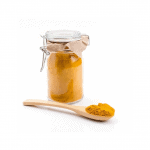 Curcumin is packed into a matrix that is lipophilic or fat soluble. This matrix protects curcumin from acidic pH in the stomach, dissolves it optimum pH in the intestine which ensures better absorption and hence subsequently enhanced bioavailability. 400mg Longivida contains 80mg curcumin along with vegetable-derived stearic acid dextrin, hydroxypropylmethylcellulose (vegetarian capsule), soy lecithin, ascorbyl palmitate and silicon dioxide. Longvida is a preparation of curcumin in lipid matrix which enhances its absorption and bioavailability. Researchers at ACTREC, Tata Memorial Centre, Mumbai India conducted a study to assess the bioavailability of Longvida in healthy individuals as well as osteosarcoma patients. 6 healthy individuals were given a dose of 650mg Longvida or equivalent dose of unformulated curcumin. 11 osteosarcoma patients were given either a dose of 2,3,4 g of Longvida. It was observed that 650mg dosage of Longvida resulted in 22.43 ng/ml concentration in blood plasma; however, the equivalent dosage of unformulated curcumin remained undetected. Longvida was well tolerated by both healthy patients and osteosarcoma patients. An increased variation in absorption was observed in both groups indicating that absorption mechanism is complex. The company website states that Longvida is 65 times more bioavailable than unformulated curcumin. However, it is important to note that 400mg of Longvida provides you with only 80mg curcumin. So despite increased bioavailability, the amount of curcumin delivered is less compared to 500mg standardized 95% curcumin formulated with piperine or turmeric oils. Longvida is 65 times more bioavailable than unformulated curcumin. However the amount of curcumin available in each formulation unit is less; 400mg Longvida provides 80mg curcumin. There are no specific precautions outlined for Longvida. These are precautions applicable to every curcumin supplement. Like any health/dietary supplements, Longvida is not regulated by FDA. Starting with high doses of curcumin or taking curcumin for the first time may cause gastric discomfort such as bloating, diarrhea etc. This can be minimized by starting with small doses and then increasing gradually. Longvida is an optimized formulation of curcumin that enhances its bioavailability by 65 times compared to unformulated curcumin. 400mg of Longvida provides 80mg curcumin which seems like a small dose but due to optimal absorption, it does bring about significant health benefits. However for conditions that require high dose curcumin, one may need to take a larger quantity of Longvida. Longvida has non-turmeric components for absorption such as lecithin, stearic acid but no adverse effects have been observed. Longvida is free from exposure to toxic solvents and components. Longvida seems fairly useful for brain health and neurodegenerative conditions. If you have tried Longvida, please do leave your experience as comments below. I was using Longvida Curcumin for about 2 years. It actually helped me with my depression and anxiety better than any other natural supplement I have tried. However, my body adjusted to it and it lost its effectiveness. So I stopped for awhile to try something else. Bad decision.. I won’t say what I tried, but I ended up worsening my anxiety as a result. My health condition has declined and have recently been dealing with heart palpatations for the first time in a long time. And while it’s not a full blown anxiety attack and am dealing with it, the fluttering heart has been slow to go away. Stressful time of the year for me, but I am seeing doctor today to be certain there aren’t any underlying health concerns. Along with better self care over the school break, I think it’s high time I go back on the Longvida Curcumin.. Which you reminded me, not only lowers bad chelesterol, but is good for the heart. Plus, it is known to help with memory. Which also started to decline, I noticed. So my questions for you are as follows: Should I increase my dose for better effectiveness? Maybe 1000 mg? Or should I stick to the 500 mg? Also, should it be taken on an empty stomach (or 2 hours after eating) to improve effectiveness? I just want to get the best out of Longvida Curcumin this time around. It’s not the cheapest supplement, but I feel it’s worth the price every time. It’s the only thing, besides espresso, that ever made any difference in my life. P.S. Sorry this is so long! Yet if you can at least answer my questions, it would be much appreciated. Thanks. Hi Jenna. Start with a dose of 500mg per day first and follow it for a week or two. If you don’t observe any benefits consider increasing the dose to 1000mg. Avoid taking the supplement on an empty stomach; the dietary fat in your meals will further improve the absorption. Hope this helps. 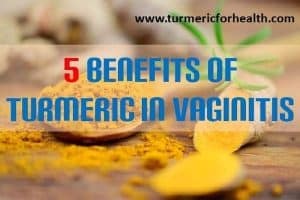 I have just read your Longvida post and must admit to getting a bit confused with this and all your other posts on turmeric. I am already a Golden Paste (fresh) user, taking 1 tsp three times per day. I use this mostly to keep the flare ups of Ross River Virus to a minimum and this certainly helps. Now reading this about Longvida, I am wondering if using this supplement is better overall as I see it has some very far reaching benefits, i.e. vascular health, brain/cognitive advantages, general fatigue, improvement in mood and working memory, reduced total and HDL cholesterol. and can also benefit cognitive health and memory in older people. I am 67 my husband is 70 and has Parkinson’s Disease. So how would Longvida help us – or should we just continue with the Golden Paste? As I said I am confused, so sorry for this very long post. Hi Dianne. We absolutely understand your confusion. For your husband, taking Longvida in addition to Golden Paste would be of help in Parkinson’s disease. 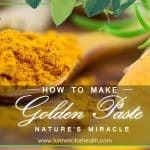 For your health, since Golden Paste is helping to minimize the flares and assuming you do not have any other health issue, you can continue with Golden Paste and increase the dose if needed. Longvida has some great research to demonstrate its potential for many conditions. And yes there are certain conditions which require high levels of curcumin or bioavailable curcumin; in such cases curcumin supplements help. 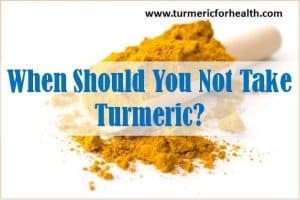 However that does not mean that they can replace whole turmeric (root or powder). 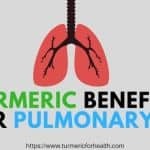 Turmeric always has more to offer than just curcumin and including it in diet is a simple and inexpensive way of maintaining health. Since your husband has Parkinson’s disease, as per research, addition of a curcumin supplement may help ameliorate the symptoms and protect brain health. 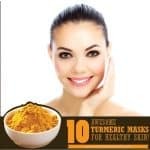 About your health, we would suggest that you take this decision personally as to whether you need high concentrations of curcumin, would it be more convenient or would it be possible to increase the dose of Golden Paste. We know this is tough, but you need to consider a couple of factors like how is your health at present, are you genetically prone to any condition that could manifest due to aging, do you need a supplement as a preventive measure? etc. 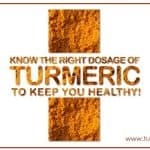 Also consult a doctor or herbalist before taking turmeric supplements. A recent study indicated that although peperine increases bioavailability, it off sets any benefit from curcumin administration. Can you give a reference to the study to which you refer, please? Sorry you are now endorsing curcumin supplements instead of whole turmeric or whole turmeric supplements. Curcumin supplements are effectively unregulated drugs whose studies are paid for by patent holders. Excess curcumin linked to DNA damage, excess pipeline also risk to health. Not sure why you have wandered off of your mission. I agree with Vaughn Johnson. Hi Dr. Jennie Ann Freiman. Thank you for your feedback. Based on your suggestion we have updated the post with necessary changes. We absolutely understand your concern. 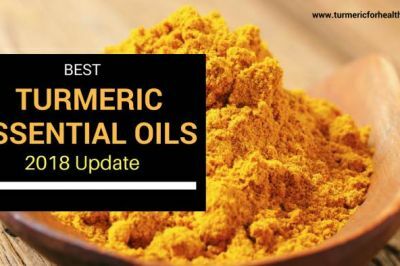 The idea behind this post was to identify some good brands of curcumin formulation to help readers who are facing aggressive health conditions or conditions that require high doses of curcumin or readily available curcumin. For example: in case of a brain tumor or a benign pituitary tumor, supplements like Longvida may deliver the therapeutic effect within a shorter time span that regular curcumin supplements. Also the number of capsules of regular supplements may too much and too bulky to consume for the same therapeutic effect. 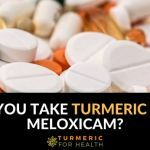 Many readers find turmeric absolutely unpalatable but given their health condition, it is much safer to opt for curcumin for conventional drugs. The market is full of curcumin supplements considering that FDA does not regulate dietary supplements. So we decided to identify curcumin supplements that included patented formulation, verified by research and also have received positive feedback from users worldwide. 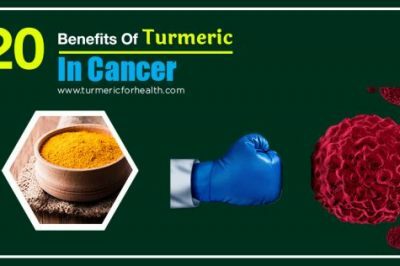 So the mission is still to make people aware about health benefits of therapeutic action of turmeric and educating people about its active constituents and their mechanism of action as well. 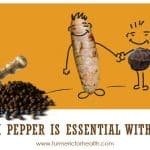 We still promote the use of turmeric in its natural form for daily health benefits. The suggestions on supplements is exclusively for readers facing serious health issues and the use of these supplements should be based on personal choice and doctor’s recommendation. We sincerely appreciate your feedback and we are glad to know that you resonate with our mission of increasing awareness on health benefits of natural turmeric. Hope to receive sincere feedback from you in future as well. 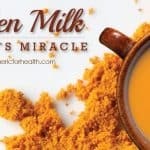 Can we use turmeric as substitute of curcumin ? in positive case how much turmeric should we use per day . 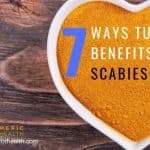 I can I gain the greatest amount of absorption with Turmeric. Hi. 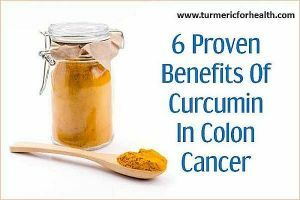 Absolutely natural turmeric with black pepper and coconut oil is awesome for daily health benefits!